Select your drain below. Multiple items can be selected. Select your additional parts or accessories here. Multiple items can be selected. Made of Type 304 Stainless Steel for a scratch-proof finish, Houzer sinks are guaranteed to look as good as new for years to come. The Super Silencer rubber padding absorbs the impact of dishes in the sink while reducing noise, which creates a more pleasant kitchen environment. 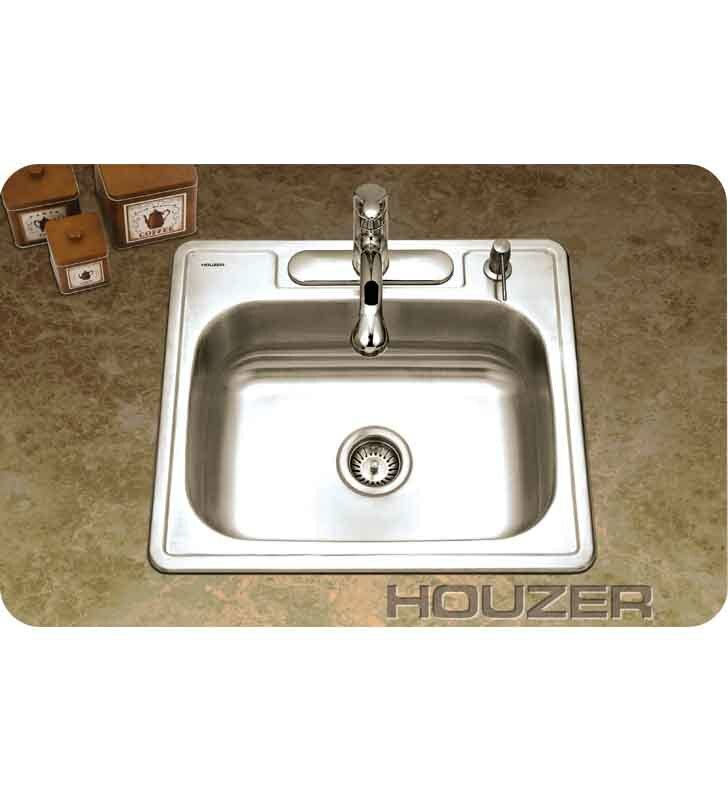 The pride of the Houzer brand, these kitchen sinks are masterpieces of style and innovation in the sink industry. Dimensions: L 25" x W 22" x D 8"